Recently, 87% of car buyers and 90% of service customers surveyed in Digital Air Strike’s Sixth Annual Social Media Trends Study said online review sites were the most helpful source of information as it related to selecting a dealership. Negative reviews, low star ratings, and lack of reviews were cited as factors that drive consumers away from one dealership and to competitors who are performing better. 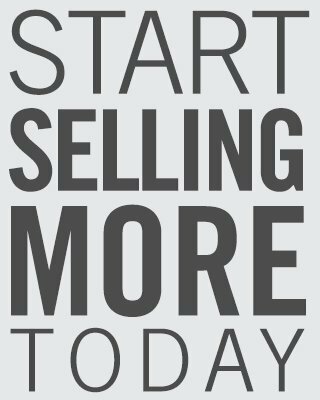 Monitoring and managing your online reputation is a full-time job, which is why more than 3,000 dealerships and top OEMs trust Digital Air Strike™ to take care of it for them. 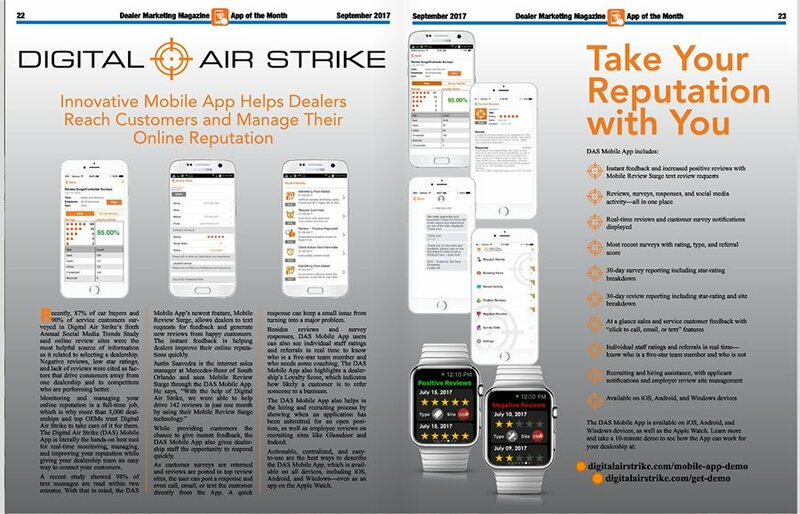 The Digital Air Strike (DAS) Mobile App is literally the hands-on best tool for real-time monitoring, managing, and improving your reputation while giving your dealership team an easy way to contact your customers. A recent study showed 98% of text messages are read within two minutes. With that in mind, the DAS Mobile App’s newest feature, Mobile Review Surge, allows dealers to text requests for feedback and generate new reviews from happy customers. The instant feedback is helping dealers improve their online reputations quickly. While providing customers the chance to give feedback, the DAS Mobile App also gives dealership staff the opportunity to respond quickly. As customer surveys are returned and reviews are posted to top review sites, the user can post a response and even call, email, or text the customer directly from the App. A quick response can keep small issues from turning into a major problem. Besides reviews and survey responses, DAS Mobile App users can also see individual staff ratings and referrals in real time to know who is a five-star team member and who needs some coaching. The DAS Mobile App also highlights a dealership’s Loyalty Score, which indicates how likely a customer is to refer someone to a business. The DAS Mobile App also helps in the hiring and recruiting process by showing when an application has been submitted for an open position, as well as employee reviews on recruiting sites like Glassdoor and Indeed. Actionable, centralized, and easy-to-use are the best ways to describe the DAS Mobile App, which is available on all devices, including iOS, Android, and Windows — even as an app on the Apple Watch.